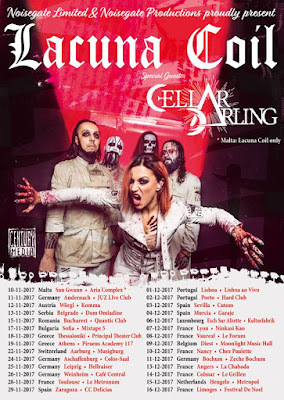 Cellar Darling is comprised of Anna Murphy, Ivo Henzi, and Merlin Sutter who recently formed following the spilt from previous well-known folk metal band, Eluveitie. 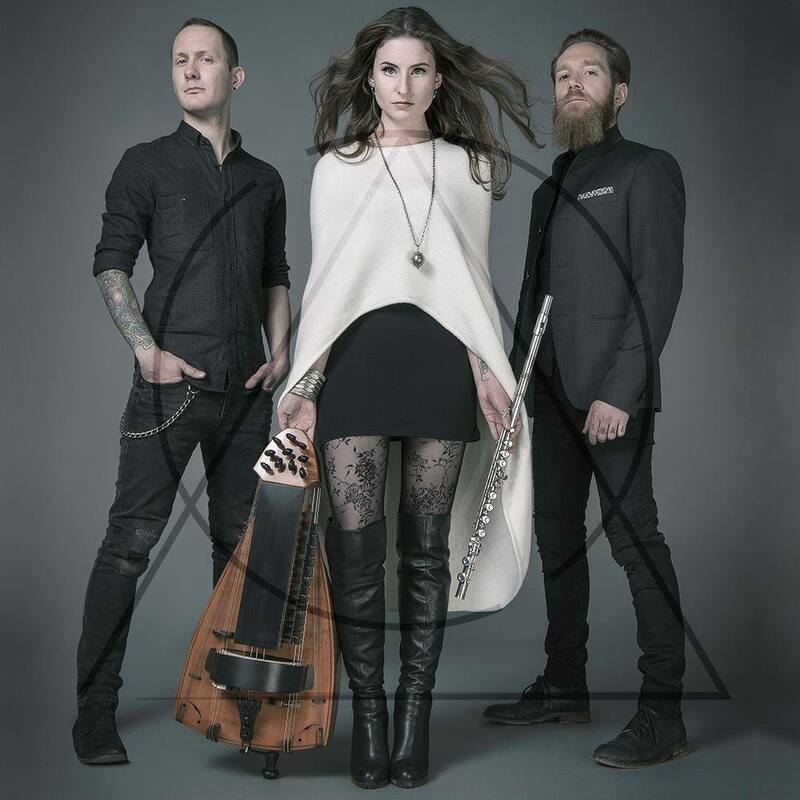 The trio have been hard at work since, creating their anticipated debut album 'This Is The Sound' which was released June 30th via Nuclear Blast Records and have impressed fans and press alike with their fresh and unique sound which has been dubbed as "the new wave of folk rock“. 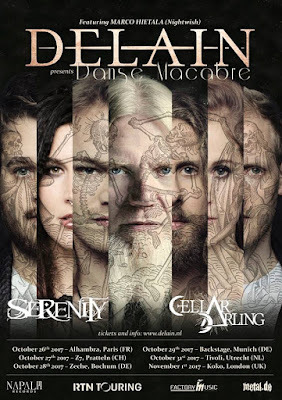 This is an exciting and busy time for the band, so I caught up with them to find out about their origins, their new album, touring and what is in store for the band amongst other things..
Can you tell us about the formation of Cellar Darling following leaving your previous band Eluveitie and how the band came to be? Merlin: What I remember most clearly is how quick it went. 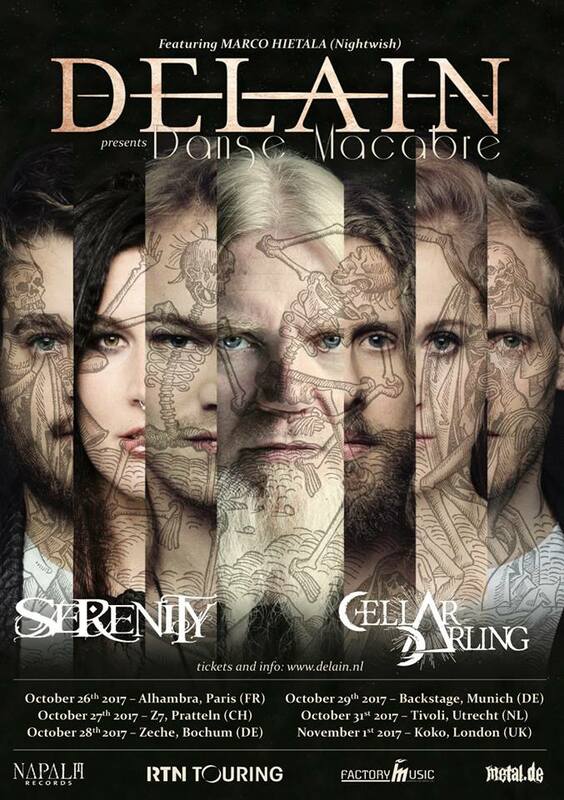 As you might know, the whole thing with Eluveitie came very unexpected for us - we were informed of a decision by the remaining members out of the blue, immediately knew that this was it for us then, and decided to go on the very same day (luckily, our rehearsal space, where that unfortunate meeting took place, is situated above a wine dealer). We were still completing the remaining shows of a world tour with Eluveitie, but were already discussing possible band names on layovers and shooting first photos while still in Asia. Upon our return, we packed up our instruments, moved into a new rehearsal space, and wrote the beginnings of a first song within a week. That song actually ended up on the album and is now called ‘Rebels’ (renamed from the previous, imaginative ‘Cellar Darling 1’). It must help that you three already have a long history together of touring and being in a band together, did you know the style and sound that you wanted to create immediately with Cellar Darling or did It just come naturally? Anna: We didn’t really have a clue and I think that was the key to finding our very own, unique style. We didn’t want to force anything or decide on a specific genre. We just got together, wrote songs and our sound developed in the most organic way possible. Merlin: I think all we really knew was that we simply wanted to make whatever music came most naturally to us, whatever developed most ‘organically’. So we didn’t have a particular style or sound in mind, but our sound was there pretty much immediately. And yes, it certainly does help that we’ve been at it for 10+ years together! Following on from that, for those that aren’t familiar how would you describe your music? Anna: Even for us it’s a bit difficult to describe our music since it’s not something we actively think about. We write and feel the music, labeling it isn’t really our thing. So, in the beginning, we thought we would just put it out there and see what happens. Basically, let the listeners decide what stamp to put on it. Partially that worked fairly well and I was astonished at how well our music is not only received but also understood. But it also caused confusion and some "mislabelling“... We were lots of things, from symphonic metal to progressive rock. While we may certainly have some symphonic and even more progressive influences in our music, it’s not what we are. That’s when we stepped in and went with "the new wave of folk rock“. 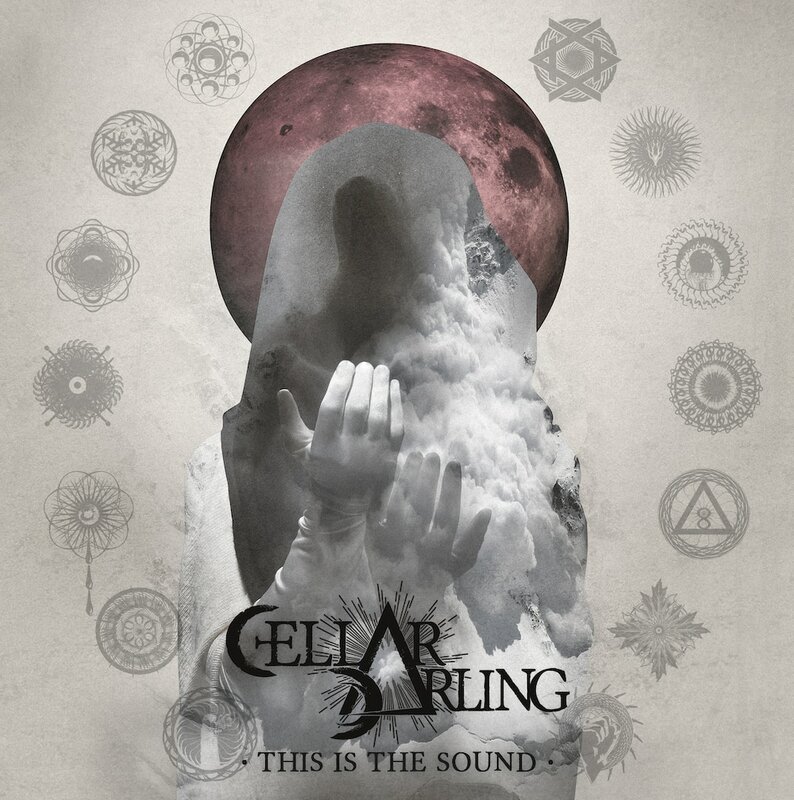 How did you arrive at the name of Cellar Darling? Anna: It’s the name of my solo album I released a couple of years ago. I’ve always liked the ring of those two words and in the context of our band they create a deeper meaning. 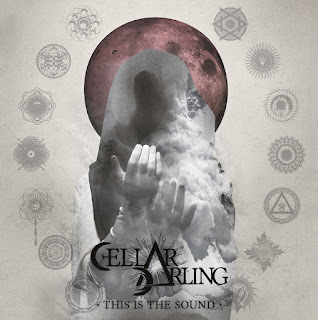 On one hand, our cellar darling represents all the creativity and ideas that were kept hidden away during the past few years and are finally set free to see the light with our music. And on the other hand, the combination of the words symbolizes what our music sounds like, cellar being the darkness and darling the light. Your recently released your debut album ‘This Is The Sound’, how happy have you been with the response so far? Merlin: Extremely happy! As we mentioned above, we stuck 100% to the music that came from our hearts when writing this album. We didn’t try to sound like Eluveitie, we didn’t try not to, we just went where our creativity led us. That means that first, we couldn’t be sure whether anyone would actually like the result; and second, it became a very personal album. We very much shared a piece of ourselves, so even though we know better, it’s hard to not take hundreds of comments on the web personal. So we were all the more thankful and appreciative at all the positive and supportive comments and messages we received, and still are receiving. We truly think we have the best fans in the world - we did with our previous band, and it seems we were lucky enough to bring a bunch of them with us. What was the recording and writing process like for the album? Anna: The album was written in less than a year, all of us were highly creative and the ideas never seemed to stop flowing. That was probably also due to the chaotic living circumstances we were in (broke, no home etc.). The core of our songs tends to vary. Either we write a song together based on short ideas we already have or they’re written by Ivo or myself and then further arranged within the band. But what always stays the same is that it’s a process in which we’re all working together and playing the songs together which is something new for us and not how we worked in our previous band. Maybe that’s the reason a lot of people think our sound is very organic. Apart from working a lot at home and making the demos there, we met up for two „songwriting camps“ where we spent one to two weeks together only working on our music. The album was recorded in two sessions in order for us to take a break in between to write more songs and reflect on finished material. The album was produced by myself and Tommy Vetterli at the New Sound Studio where he recorded and mixed the album. What are the main lyrical themes and where did you draw inspiration from? Anna: The lyrics are like our music, picturesque and eclectic. There is no general theme although a lot of recurring topics seem to be favourites of mine on this one, in particular death and the apocalypse (did I mention I was in a great mood writing this album?). What connects the lyrics is how they’re written, from a storyteller point of view. We want to paint pictures with our music and tell stories, a lot of times in an abstract but sometimes also in a poetic style. And I hardly ever have to think about what I should write about because the pictures come with the music. If I hear rain I’ll go with that as a metaphor and write something based on that first impulse. And on „This Is The Sound“ you’ll find a lot of different stories and moods... from the last man left on earth to an angry fairy that destroys stars. What was the most challenging part of creating the album? Anna: For me basically everything apart from the creative aspect (which is luckily the main aspect). You know, money and food and all that nonsense. It was hard to obtain. ;) We lived on the studio couch (thank you Tommy!) because we could not afford getting the train and for a while my shower was the sink of a restaurant bathroom. I once drunkenly threw up in it and had to wash my hair there the next day which was slightly unpleasant. But all the chaos also fueled our creativity, so I really don’t want to complain and I wouldn’t want to trade the experience for anything else. Merlin: Yes, food and money is definitely a challenge. I still live on a pull-out futon and can’t afford an apartment. But hey - soon we’ll be back in the tour bus, which is really where we belong anyway. Ivo: One challenging aspect was the fact that we had so many ideas. Which of course is a good thing, and we managed to channel most of them into the songs that made it to the album. Considering you formed after leaving Eluveitie, what has the reception been like from existing fans about your new venture? In October and November you are heading out on tours with Delain and then Lacuna Coil in Europe, how excited are you for this? Merlin: Personally, I’m as excited for this as I haven’t been about any tour - and I absolutely love touring, playing live is my favourite thing in the world, and we’ve done a lot of it in the past. So that really means something. I’m incredibly happy that we’ve managed to line up so many shows and will be able to visit 15 countries within our very first European tour. This is only the beginning, though! Ivo: It’s a great feeling and opportunity to be a new band going on tour. It’s also challenging because it’s a new situation, new music, different audiences. We’re also kinda nervous but very excited to be on the road again! Merlin: You can expect the energy, passion, and devotion that Anna, Ivo and I become known for on stage. Times 10. Have you got any favourites to play live already and if so why are they? Anna: Black Moon is the most fun to play for me, but Six Days is my personal highlight regarding the atmosphere. Merlin: That constantly changes, which I think is a good sign. I do like playing Black Moon - but it’s the versatility of the whole album that is my favourite thing about it! Ivo: Black Moon is also my favourite on stage, if I had to name one. Depending on the show and my mood, I always discover some new favourites. What else do you have planned for the rest of the year and the near future? Merlin: We’re very happy to be able to spend most of the remaining year on the road - we’ll start with a couple of shows at home next week, followed by Russia (5 cities, which is really awesome), then Europe, and home just in time for the holidays. As for the near future - we fully intend to play our asses off and visit as many of our fans as we can. I’m happy to say that we’re talking to people around the world, and I sure hope it’ll all work out! Ivo: Although our first album has just been released, we already started working on new material. So besides touring, this will also be our focus for the near future. Merlin: We absolutely cannot wait to see you on the road. Come out to a show - you won’t regret it!